There are more than few tools that help us maintain the code we write correct and working. We can divide them in source code and class file analyzers. In this article we will show how it can be installed and used in NetBeans 6.5. One of techniques to ensure that software is properly and thoroughly tested is to get code coverage information and find which blocks of code weren’t executed at all. There is a number of code coverage tools for Java applications. 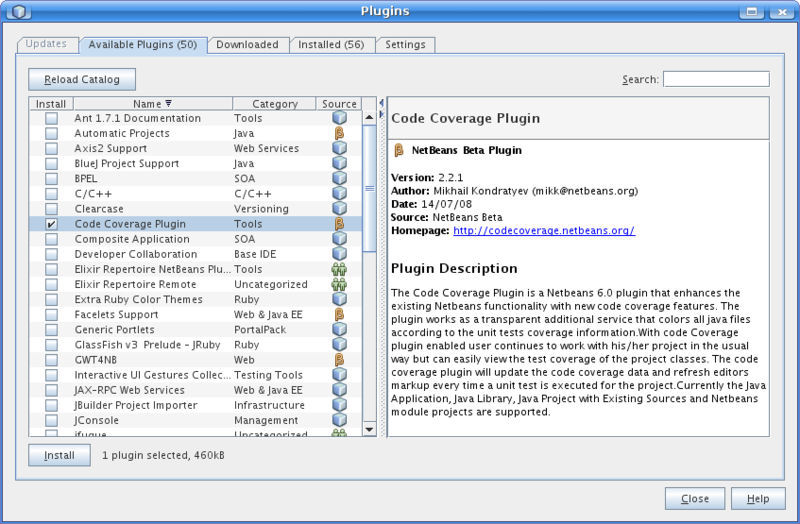 One of them, free and mature is Emma ( http://emma.sourceforge.net/ ) which is one used by NetBeans code coverage plugin. There is NetBeans package in Ubuntu repositories. The official and supported way is to install it using apt. In that case, NetBeans will be updated automatically. Problem with this approach is that current NetBeans package is not the last one. On November 23rd 2008 it was version 6.01. In case that you need newer package, follow procedure described in Installing NetBeans 6.5 on Linux / Ubuntu. NetBeans 6.5 includes JDBC drivers for Postgresql and Mysql, two most popular opensource databases. Database integration in NetBeans is done is such way that it is possible to create database connection and use it in built-in SQL client or JPA modelling/programming. In order to use databases more common in enterprise world, we need to add a JDBC driver to NetBeans. In this example we will add and configure Sybase database connection. Note: Recently released Ubuntu 9.04 has NetBeans 6.5 in its repositories. Read how to install it in Update – Installing NetBeans 6.5 on Ubuntu 9.04.